Business Description: DJs that treat your wedding like it is our own and play music according to your preferences (not ours). 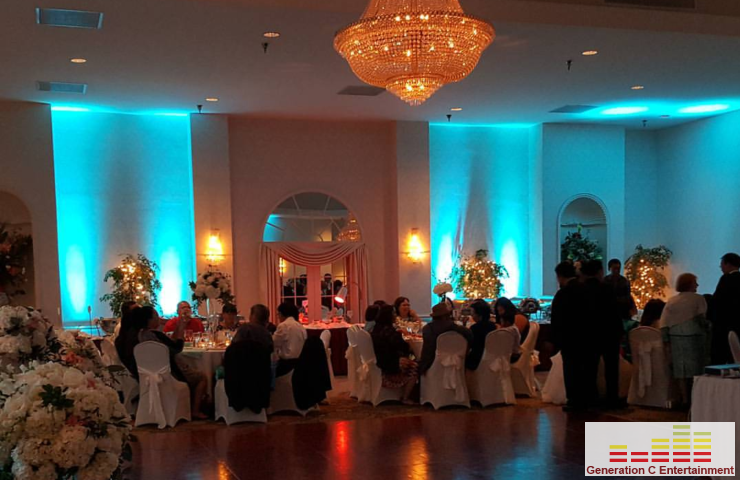 Generation C Entertainment is a Wedding DJ Company serving Northern Virginia (NOVA), Maryland (MD), and the DC Metro Area. We are professional DJ’s that smoothly mix all types of genres of music together to create your perfect wedding soundtrack. Plus, we offer affordable wedding packages (lighting, photography, videography, day of coordination, and photo booth services). Awesome awesome people and company. I worked with Omari initially and he is genuine, professional and came very highly recommend to me...Our DJ was Maurice aka DJ Convenient Child. He was so sweet and very helpful. My now husband and I are huge procrastinators so we appreciated Maurice's expertise and ability to make it all come together with minimal help and input from us. He sent us a spread sheet to fill out and met with us over the phone to discuss expectations and vision and we basically threw some ideas at him and he made them happen. Everyone raved about how much fun the wedding was and how great the music was. He provided all the equipment and even the mic for our pastor. My husband made some last minute changes to the announcements and did a little performance all on the day of the wedding (at the wedding) and Maurice made it seamlessly happen. There were things I thought of after we talked on the phone that I wanted to tell him before the wedding that i never got the chance to and he did it all anyway without me even asking. He played every song we requested and made it even better! perfection! Extremely professional and responsive! So many of our guests had great things to say about Omari and his team! The music was so good that guests were always dancing -- and some guests, I have never seen them move like that! Definitely recommend Generation C Entertainment for any couples that are getting married! Omari Fennell of Generation C Entertainment was simply outstanding to work with. Communication with Omari was easy and his response to our concerns was always prompt and helpful. On the day of my daughter's reception, Omari ensured that he was there and ready to go hours before our event. He even helped us set up his p.a. and a monitor system for our band. During the reception, Omari kept things moving and was exceptionally responsive to our requests. Working with a band, D.J. Omari kept everything running smoothly, while serving as Emcee for our reception. I sent him a slide show and he worked to have it run with my music seamlessly. We had many complements that our reception was both very personal to our family and one of the most fun that some remember attending. Overall, we could not have asked for a better experience with Omari; he is tops. My highest recommendation! Omari was easy to work with from my initial quote request to the wedding day itself. He helped keep us organized with a timeline of events that evening. He respected our choices of music selection and everyone had a great time! We also incorporated a traditional Korean ceremony during the reception which he narrated for while we had traditional music playing in the background which was hugely helpful since most of our guests were not Korean and therefore unfamiliar with the tradition. Omari kept the pace throughout the evening and rolled with the bumps that we had (no wedding is perfect). We didn't opt for the lighting because our venue was a historic property but I'm sure that would add to the atmosphere of modern venues. The biggest thing for us was that the music be family friendly and we were completely comfortable with Omari's selections. He did ask us for a "must play" list which was also played and gave him a better idea of what types of songs we wanted. We highly recommend him to any couple! It was a great price and he was set up in no time. He even acknowledged our hard working groomsmen who had to hand tie all of our chair sashes that were delivered by the vendor. Thank you Omari!!! Omari was amazing! We originally booked him because he is a Christian DJ, and we really wanted God to be at the center of our wedding. Omari was a huge help in making that happen. He was very responsive to all of our emails, receptive to our ideas and music selection, and helpful with providing his own ideas. He completely took over the setup for the ceremony, providing microphones for our officiant and singers, as well as hookup for our guitarist. He followed our specific requests precisely, and he took over with his own creativity during the reception. After our meal, he got everyone on the dancefloor, and they didn't leave until the wedding was over! He was helpful in transitioning between events during the reception (cake cutting, bouquet toss, etc.) and all around great. Not only was he a great DJ, but he is a very sincere and nice guy to work with. You can't go wrong with choosing Omari for your wedding!